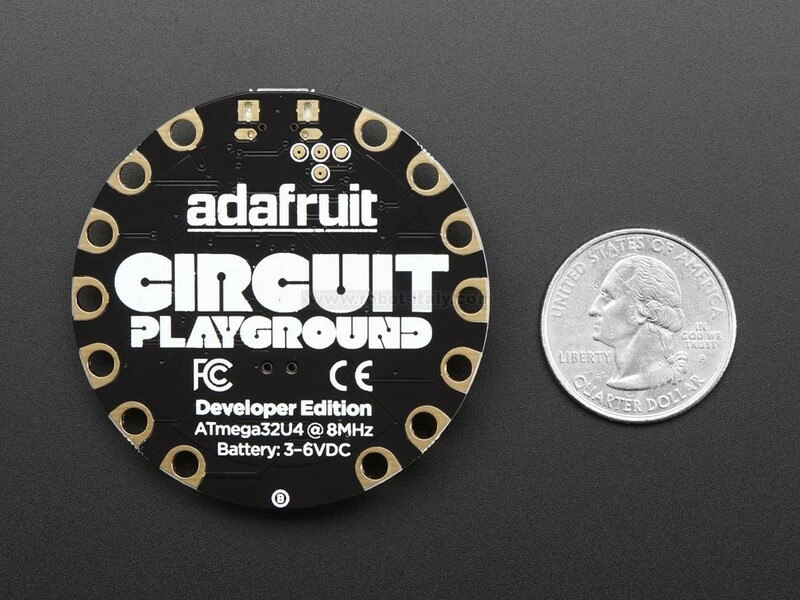 Circuit Playground features an ATmega32u4 processor, just like our popular Flora. 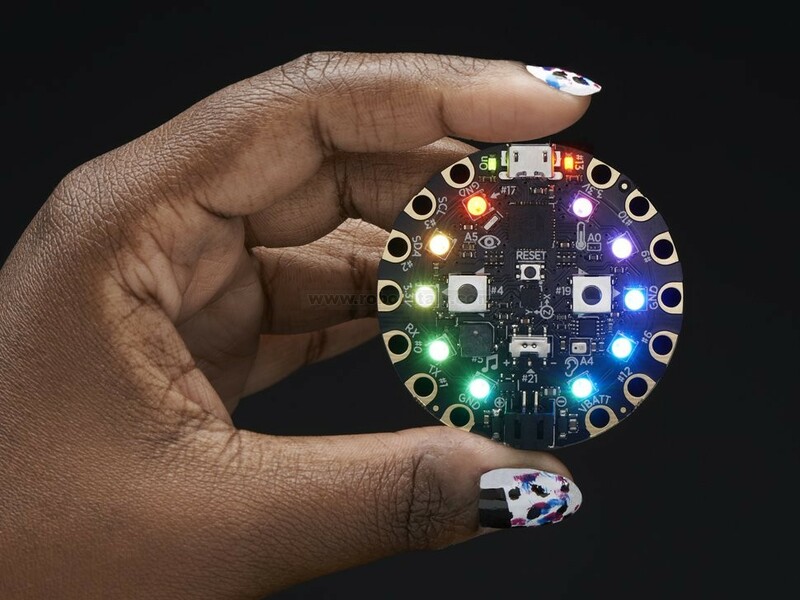 The board's also round and has alligator-clip pads around it so you don't have to solder or sew to make it work. 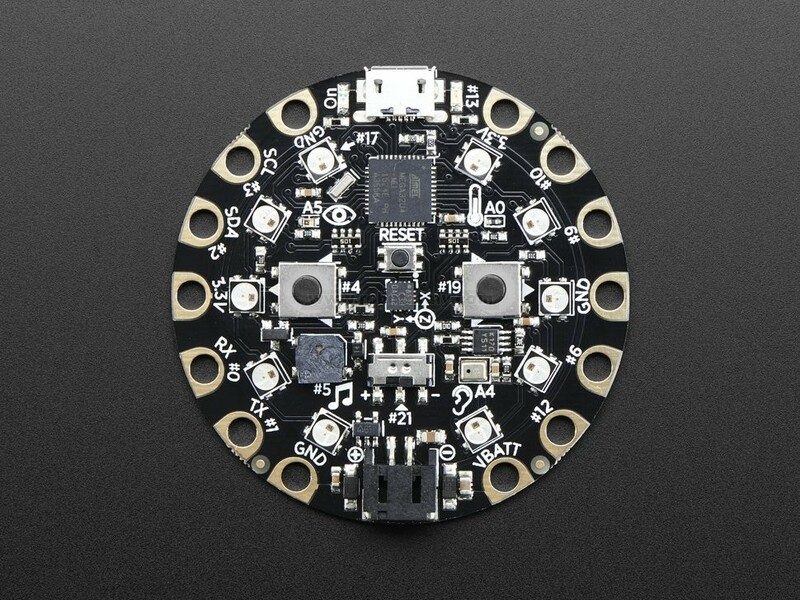 Circuit Playground has built-in USB support. Built in USB means you plug it in to program it and it just shows up. All you really need is aMicro-B data/sync USB cable - not included! With the new 1.6.4+ Arduino IDE, it takes only a few seconds to add support. 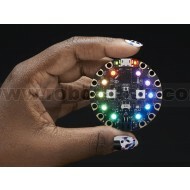 The Circuit Playground has USB HID support, so it can act like a mouse or keyboard and attach directly to computers. Circuit Playground now works with Codebender as well! Outer Diameter: ~50.6mm / ~2.0"